Hey Doodlebug friends!! Candace from Scrappin' 2 Little Princesses here! 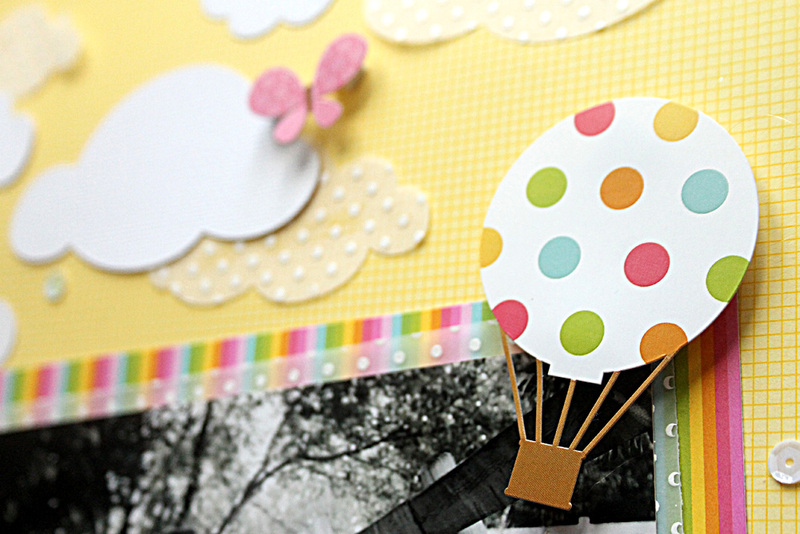 Today I am sharing a project created by the amazing Jodi Wilton. 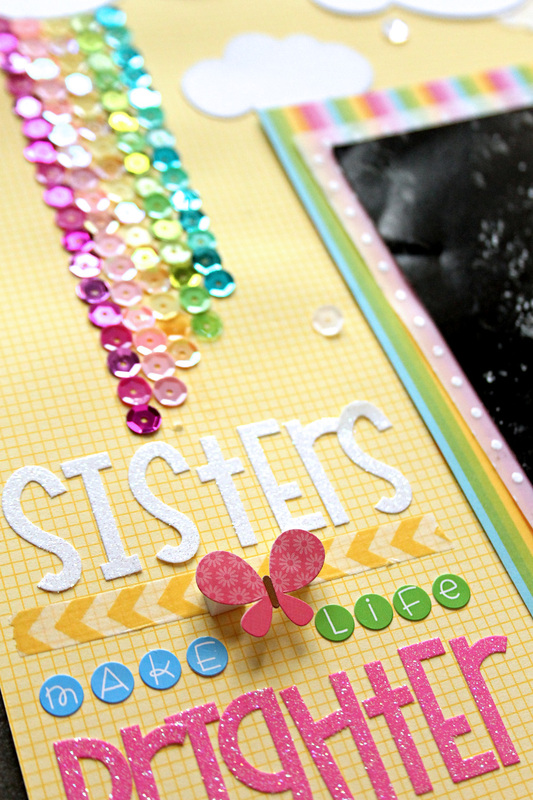 Like Jodi, I am in love with rainbows and I was completely inspired by her sequin rainbow on the layout below. For more details on Jodi's great layout click HERE. 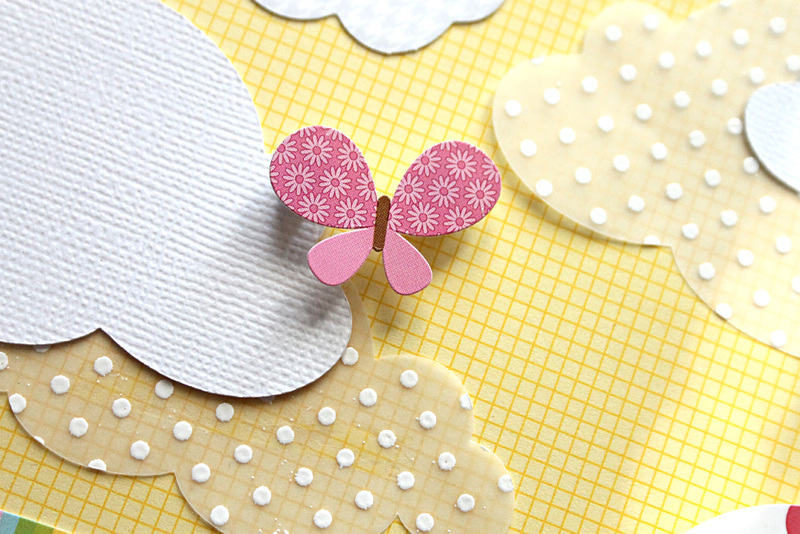 I have been wanting to make clouds from the sprinkles vellum for so long! Of course I had to add a sweet little happy face stamp to one of the clouds since everything is more cute when it's smiling! 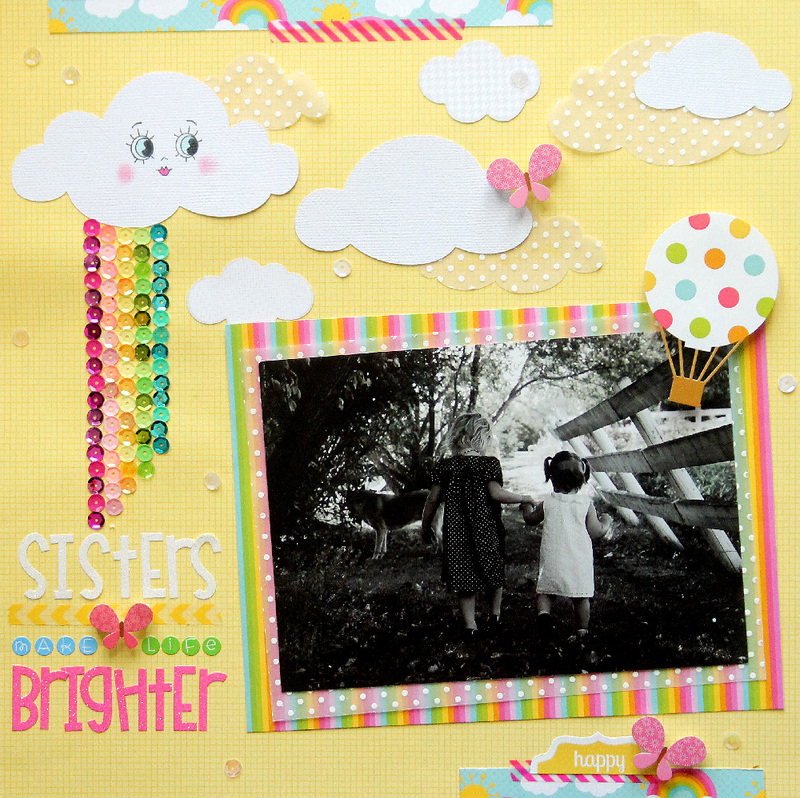 I used one of my all time favorite collections from Doodlebug, Springtime. 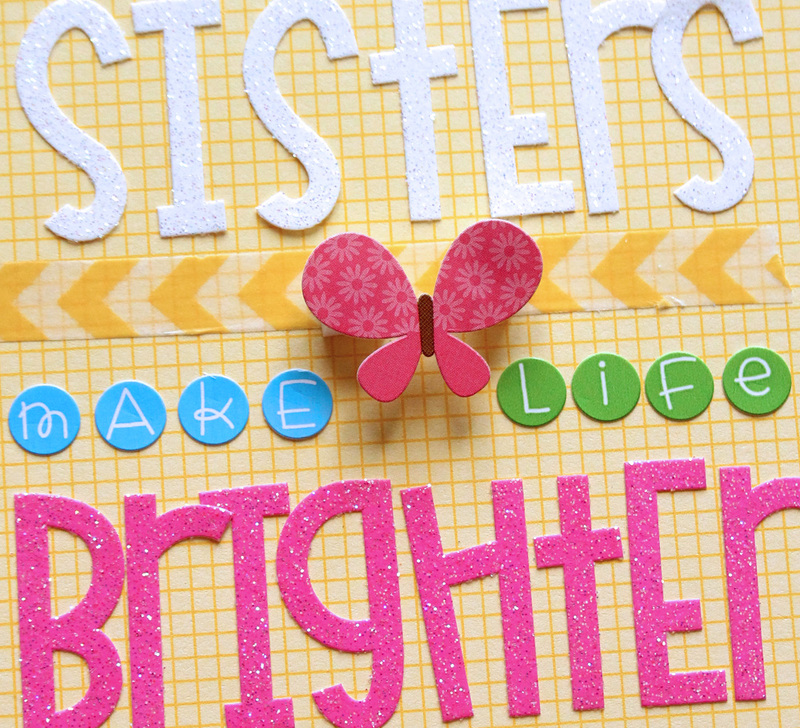 The bright, fun colors in this collection are perfect for so many of my daughters' layouts. I adhered a few butterflies on my layout using foam stickers to make them stand out. If there is one crafty supply I am thankful for, it's all the great font stickers!! Making layout titles is so fun and easy with all the different colors and font styles. Isn't is beautiful shimmery perfection?! 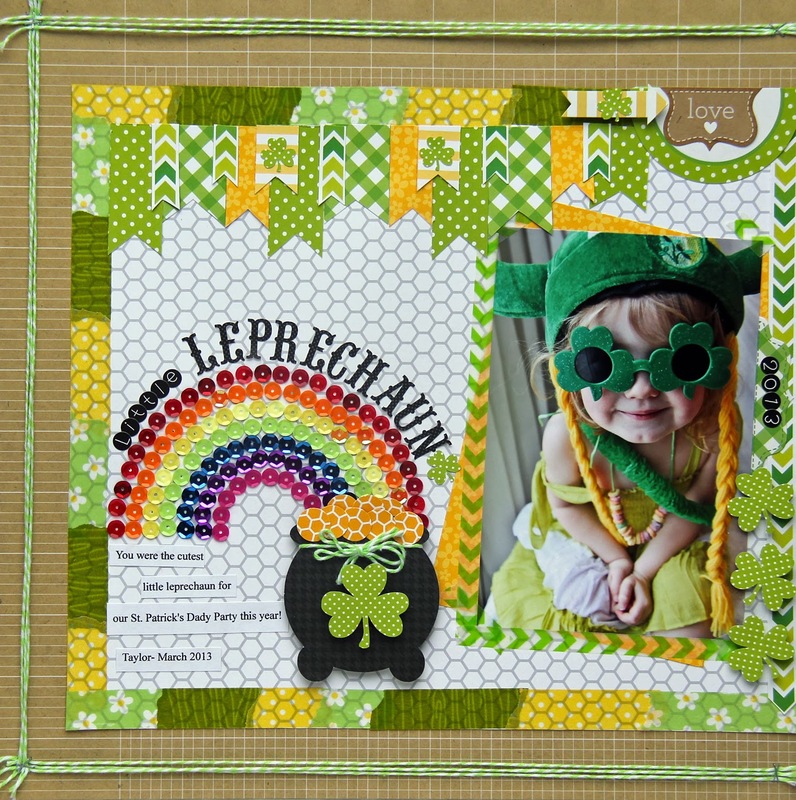 Doodlebug sequins come in so many great shades and finishes that it was super easy to find the perfect colors to match my layout. Love how this turned out. Thank you Jodi for the idea!! Oh the bright happy colors! You had me at sequins!! hen you threw in rainbows..♥♥♥ it!! LOVE it!! Such a great take!! And of course I love the rainbow! 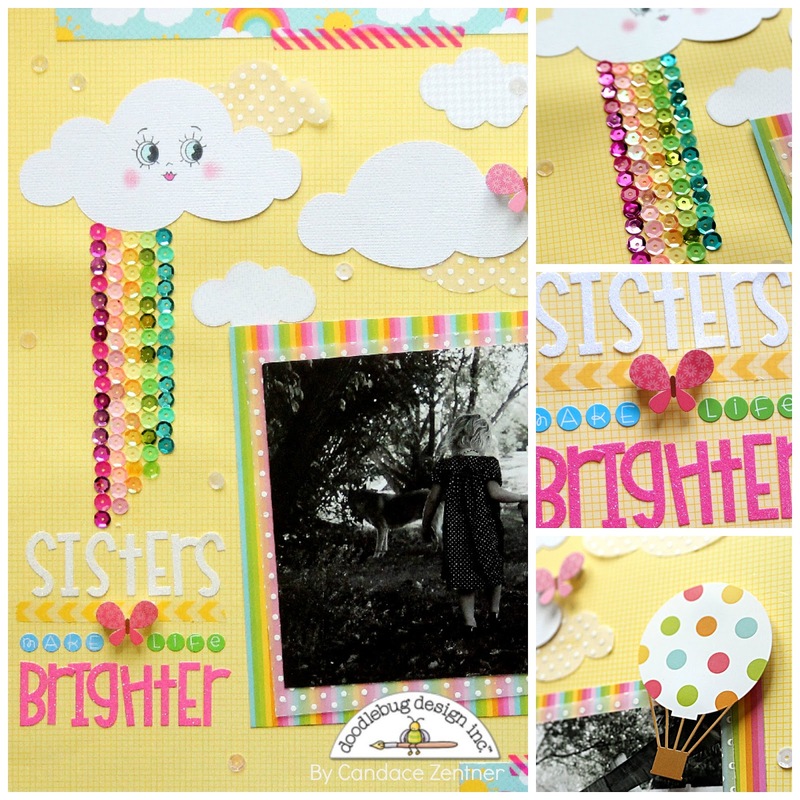 BEAUTIFUL inspiration, ADORABLE photo and DELIGHTFUL layout Candace!!! 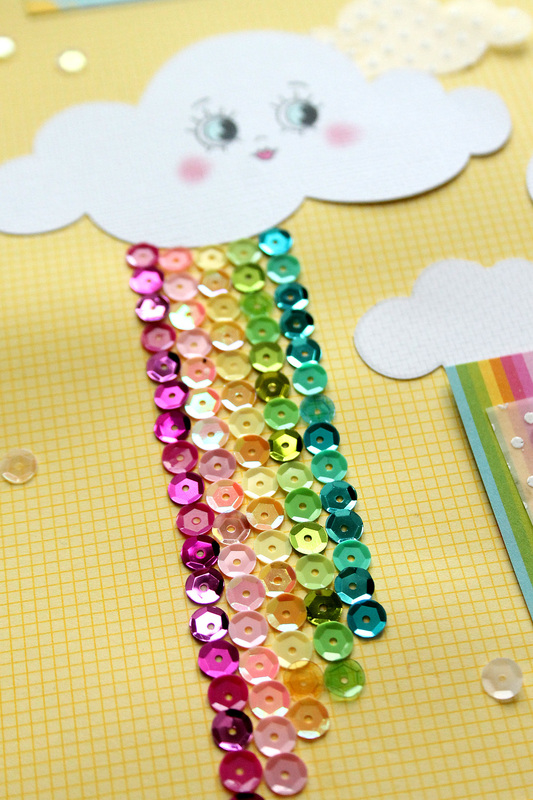 LOVE your sequin rainbow, LOVE your Sprinkles vellum clouds, LOVE your SWEET title, LOVE IT ALL!! !